Traditionally, rehab and fitness stand at opposite ends of the health spectrum. Rehab is most often performed by physical therapists, occupational therapists, chiropractors and athletic trainers. Rehab professionals use distinct exercises to help athletes resume normal movement and function. Fitness, on the other hand, is led by personal trainers, coaches and body builders. Fitness professionals push athletes to become stronger, faster and reach aesthetic goals through high-impact techniques. Fusion Gym exists to bridge the gap between these two distinct approaches to health. 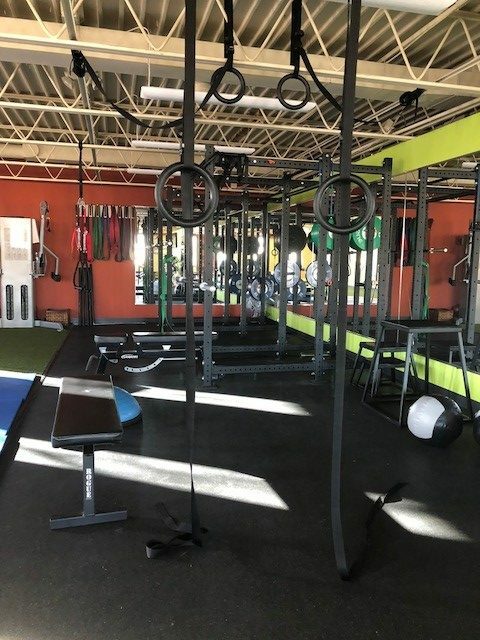 Combining the corrective, restorative focus of rehab with the intensity and challenge of fitness, Fusion Gym helps athletes and athletes-at-heart practice smarter so they can perform better. Dr. Schneider and Dr. Sergent employ chiropractic, manual therapy and rehab in their clinic on a daily basis. Frequently, they treat patients whose recurring lower back, shoulder and hip pain stems from traditional fitness exercises. Often when patients finish treatment at the clinic, they begin a new fitness plan with a gym or trainer, assuming that professionally-led exercise will prevent recurring injury. Unfortunately, most trainers and gyms are not equipped to understand the pathology of injuries and do not adapt exercises to the individual. Fusion Gym provides only highly-trained certified professionals who understand injuries and corrective exercises, as well as how to push individuals to reach their fitness goals. These certified coaches employ smart, powerful and strategic movements that significantly decrease risk of injury while drastically increasing fitness. Fusion Gym is dedicated to Darrel W. Sergent, DC, for instilling the principles of hard work, compassion and knowledge in his son.